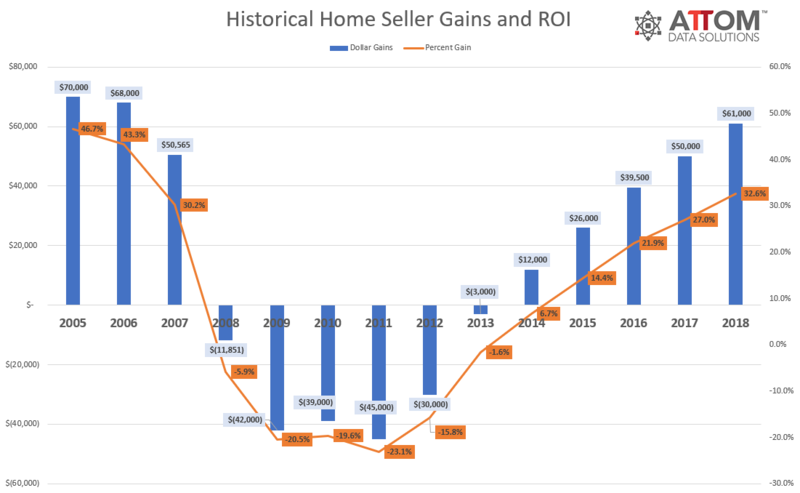 You Won't Believe: Home sellers were raking in the dough last year, earning the highest profits on their abodes in a dozen years. 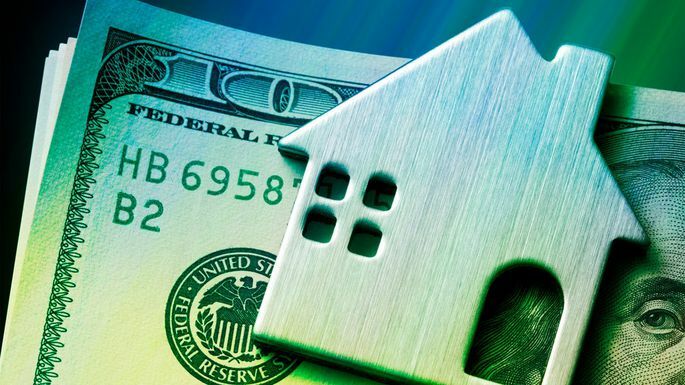 Those who sold their residences in 2018 made an average profit of $61,000—and West Coasters reaped even higher returns, according to a recent report from real estate information firm ATTOM Data Solutions. That's up 22% from the median $50,000 they made in 2017, and it represents an average 32.6% profit. The biggest profits were in Silicon Valley's San Jose, CA, at 108.8%; San Francisco, at 78.6%; Seattle, at 70.7%; Merced, CA, at 66.4%; and Santa Rosa, CA, which was devastated by wildfires in 2017, at 66.1%. The analysis included only metros with populations of 200,000 and up with sufficient home price data available. Prices rose so high in some of these metropolitan areas (which include cities and the surrounding suburbs), they're now seeing a wave of price reductions as sellers are forced to lower their expectations. That's one of the strong indicators that the good times are likely to slow down this year, along with the rest of the real estate market. In the past few months, more sellers seeking big paydays rushed to put their homes up for sale while prices were still at record highs. At the same time, many buyers were sidelined by those same high prices, rising mortgage rates, and tax changes. Others are simply waiting to see how the market will sort itself out before taking the plunge. So with more supply and less demand nationally, selling homes may not be quite so lucrative going forward. Lets get your Home on the Market. Head over to Precision Realty & Associates and speak to Carriene Porter a real estate professional where you’re guaranteed to get the expertise and advice you need. If you prefer a more personal touch, CALL 801-809-9866 today.